Hex Metal Grating, also named hexsteel, hexmesh, hexmetal, is a hexagonal cellular mesh grating specifically designed for reinforcing both linings and flooring. 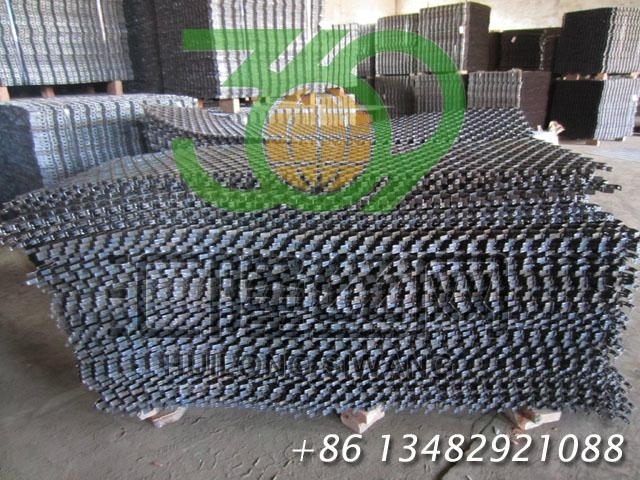 It is used as a surface framework to hold cement or refractory in needed position, and relieves stress in the lining's upper crust, which prevents spalling and cracking. As a result of Hex metal's strength and unique design, abrasion and corrosion are retarded and refractory life is significantly extended. Even hot gaseous substances cannot erode the surface material because they are reflected away from the surface by the metal cellular grid.